Home Say Hello to Halo Horses Return to Previous Page. Halo Horses, based in Chandler, AZ, but often seen at horse shows and events around the Southwestern U.S., is owned and operated by Jacqueline & Haliegh Townsend. 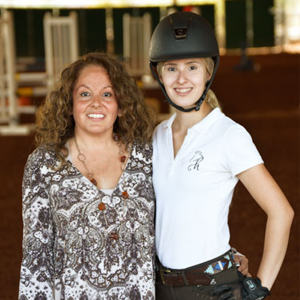 This mother and daughter team are passionate horsewomen with years of experience in riding apparel, tack & equipment, and accessories. Check out our events page and come and meet us in person. You’ll find us, and our mobile showroom, at horse shows and circuit events all over the Southwestern United States. To learn more about our range of equestrian products, call Halo Horses today at 480-748-1669, or email [email protected]. Alternatively use our contact form, give us some details about your inquiry and we’ll get back to you.